Making the decision on a new home construction builder in Forbes Hill means taking into account a number of factors. Doing your research means being proactive to ensure your build is a true success. As a potential homeowner, you need to think about all of the experience that the company has that you hire. With Schleg Valley Construction, you will be working with a team of experts that have your best interests in mind. When you are looking around for a new home construction builder, the chances are very good that you will be hearing our name come up quite often. this is because we have all of the necessary experience as well as a long list of happy clients to show for it. It is crucial to find a contractor that is reliable and has the knowledge and skill to get the project done according to plan and on time. 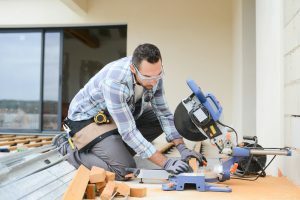 As a potential homeowner, you should be asking any prospective contractors about their experience and gather any information possible on them before agreeing to any work. With our team, we are always upfront and ready to show you all that we have to offer for your project. It is important to us that we have a good working relationship so that we can share in the creative process for building your new home. Hiring us means that you will be getting not only attention to detail and the best possible design, but we take great pride in our level of craftsmanship. We use only the best materials, everything is according to code and we do all that we can to help create the most modern and efficient home for you and your family to enjoy for a lifetime. When you are looking for a new home construction builder in Forbes Hill, call Schleg Valley Construction first at (425)312-6750 for a detailed estimate.